We are united by a common cause: to contribute to the global creative and cultural community with an open collaborative approach, using creative arts and culture as an avenue for urban and cultural solutions. Berlin Collective (BC) and The kulturspace Foundation (KSF) are pleased to announce our 'International Studio Program' in Berlin, Germany. Building on the success of the BC Artist Studio Residency Program in New York - our partnership & purpose is clear - the evolution of cross-cultural artistic exchange and the global advancement of the arts. Art and expression is the lifeblood of Berlin. Not only will artists participating in the BC & KSF Program benefit from the veritable feast of eclectic and exciting artistic avenues available for exploration in Berlin, they will additionally have access to the BC & KSF extensive network. The artist residents will receive customized guidance for the duration of their stay in Berlin, and ongoing professional & artistic support in the form of open studio events and curatorial visits to increase their exposure in the art community with a focus on developing their practice both artistically and in business terms. Participants and their work will also have the opportunity to gain valuable exposure across social media platforms through video and text interviews. The kulturspace Foundation (led by Justin R. Merino, New York & Berlin), is a 501 (c) 3 nonprofit organization founded by kulturspace: The Creatives(s) Agency in 2014. Dedicated to generating social change in the cultural sphere, it seeks to contribute solutions for urban and cultural issues by creating space for dialogue and cross-cultural projects. Catering to creatives, artists, institutions and other cultural project developers, the kulturspace Foundation connects people and organisations to transform ideas into reality. 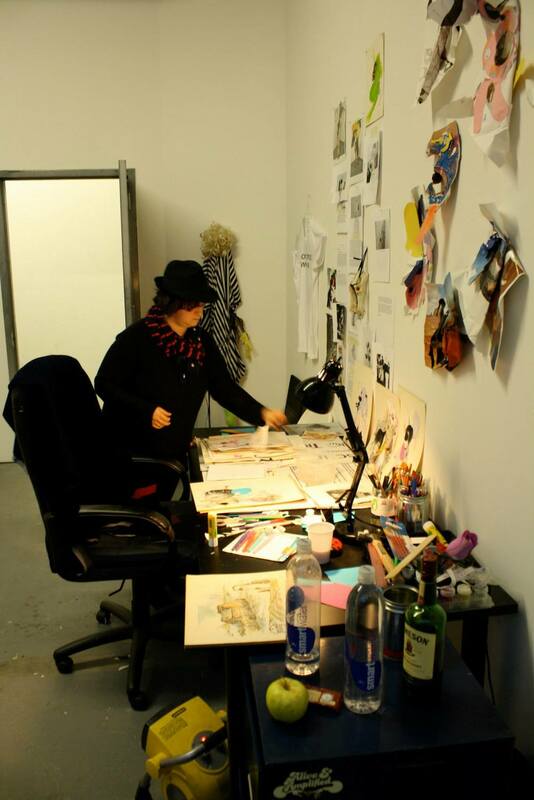 Berlin Collective (led by Artist, Nicole Cohen, New York) is the international artist network, which supports artists at all stages of their careers and practices. BC has a successful International Internship Program, a Study Abroad Program, curated exhibitions, published materials for artists, and an international community of artists. The Berlin Collective promotes international discourse and the advancement of U.S. culture abroad for international possibilities within their professional careers. Inspired by the Nobel poet Giosuè Carducci, the Dante Alighieri Society was founded in 1889 by a dedicated group of men of letters with the aim of promoting Italian culture and language thoughout the world. From its very beginning the Dante Alighieri Society received an enthusiastic welcome particularly among the many Italian communities that had established themselves throughout the world. It was not until 1926 that the Society set up its present headquarters in the Palazzo Firenze in Rome. There are currently over 450 "Dante Societies" around the world with the number continuing to grow. In 1989, the centenary year, the Dante Society became part of the national committee for the promotion of Italian culture abroad. As such the Headquarters in Rome is constantly in search of ways to be in closer contact with the Dante Societies in the five continents. Located in two of the most artistically dynamic centers in the world, these two organizations have forged a partnership to expand discourse, collaboration and new structures of topics stemming from their strong resources. A 501(c)(3) nonprofit organization IN SUPPORT OF THE GLOBAL CREATIVE & CULTURAL COMMUNITY.